Fellow hostage remembers Foley Jump to media player A French journalist, held hostage with James Foley for seven months, has been describing his time in captivity with the murdered journalist. GlobalPost tribute to James Foley Jump to media player The chief executive of US publication GlobalPost has paid tribute to journalist James Foley, who was killed by Islamic State (IS). Obama: Foley video shocks the world Jump to media player US President Barack Obama has said the beheading of US journalist James Foley is "an act of violence that shocks the conscience of the entire world". Syria's lethal danger for the media Jump to media player According to the New York-based Committee to Protect Journalists, Syria is currently the most dangerous country for journalists. The BBC takes a look at the data. Foley parents 'haunted' by killing Jump to media player The parents of James Foley, the American journalist who was killed by Islamic State militants, have spoken to journalists about their loss. Friend pays tribute to reporter Foley Jump to media player Sunday Times photographer Paul Conroy pays tribute to US reporter James Foley, who has apparently been killed by the Islamic State. A French journalist, held hostage with James Foley for seven months, has been describing his time in captivity with the murdered journalist. 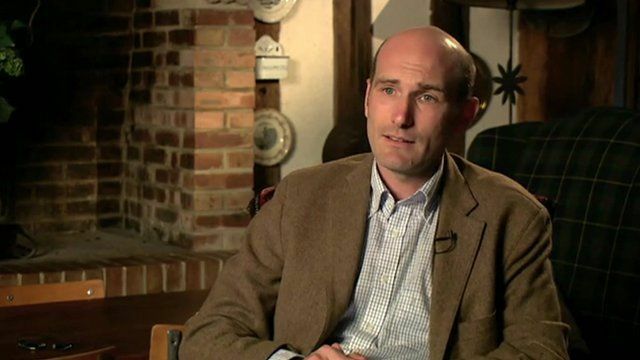 Nicolas Henin was taken hostage in Syria in June 2013. He spent 10 months in captivity - seven of them with James Foley. Mr Henin was eventually released in April and has previously not spoken at length about his experience because he did not want to jeopardize the safety of James Foley or other captives. After James' beheading, he decided to give an interview to the BBC's correspondent in Paris, Duncan Crawford.